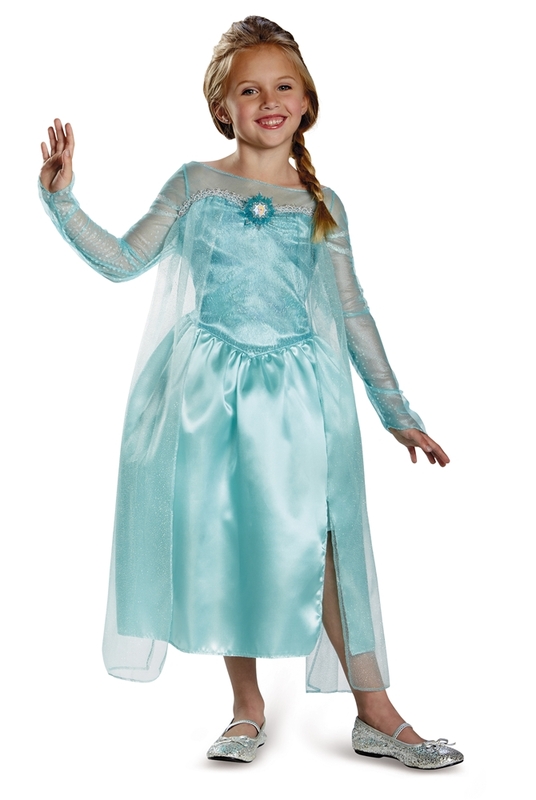 Relive the magic from Disney's Frozen everyday with this Elsa Snow Queen Classic Gown Child Costume. This children's Elsa costume includes a beautiful blue dress with a glittery bodice, see-through sleeves, a matching mesh cape, and an Elsa cameo, perfect for Halloween, Frozen themed parties and events, and singing along while watching your favorite movie! Hand wash cold separetely. Do not bleach. Line dry. Cool iron is necessary. Do not dry clean.